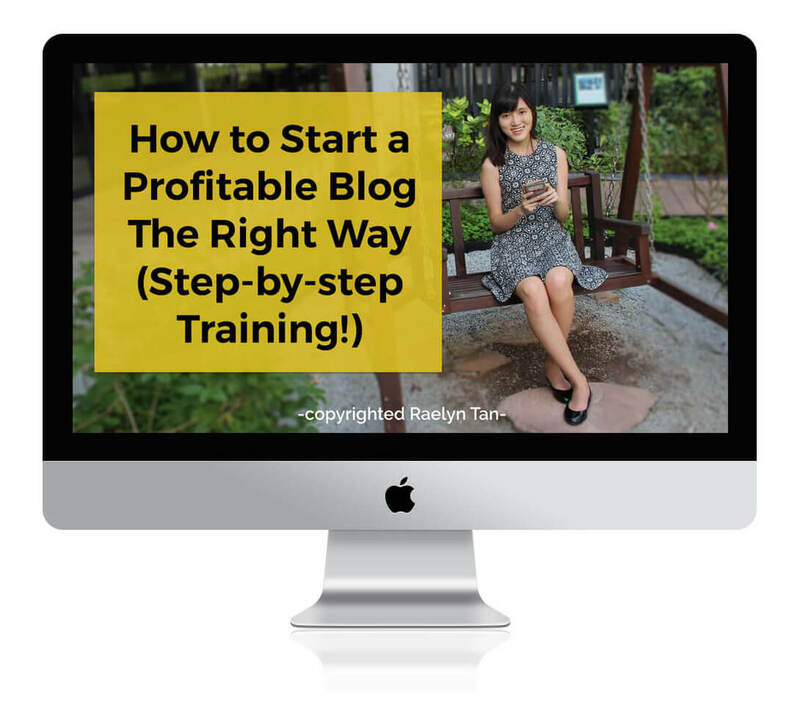 A must-have every blogger should have is a routine to follow when publishing blog posts. I’m not the most organized person in the world. But I make sure that this routine is followed to a T when I blog! No one is going to die if you do not share your new blog post on your Facebook page this week. There is, however, a cumulative effect of writing and promoting posts well. In this post, I will talk about the things I do before I publish, and in my next post I will talk about the things I do after I publish. I used to “just dive into it” when I wrote articles. However, after awhile, I would run out of points or forget what I wanted to write. Or get bored. Or open Facebook. The inertia to start writing was pretty high as well. Nowadays, I start by writing a simple outline of the points I want to cover. This outline is really simple, just a couple of sentences that include the main points of what I want to blog about. I’ve found that when you start with an outline, it is easier for you to “get into the zone” of writing. 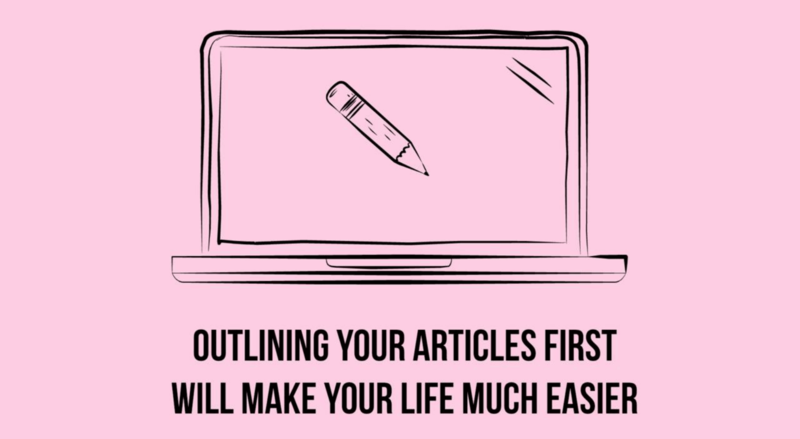 Completing the easier task of writing an outline gives you a sense of achievement, which translates into more motivation to write the entire article. It also ensures that I don’t miss out on any crucial pointers later on. I also write the article faster when I know what are the points I need to cover next. Write an outline before diving into writing your blog post. Next, you write the actual post. Make sure it is high quality! Without letting my targeted keyword affect the contents of my blog post (aside from minor tweaks), I use the Google keyword planner to decide on a targeted keyword that’s relevant to my post. I add it to my post title, my post description, the permalink and weave it a few times into my post and subheadings. Download the Yoast SEO plugin and it’ll give you the full list of the things to optimize for. 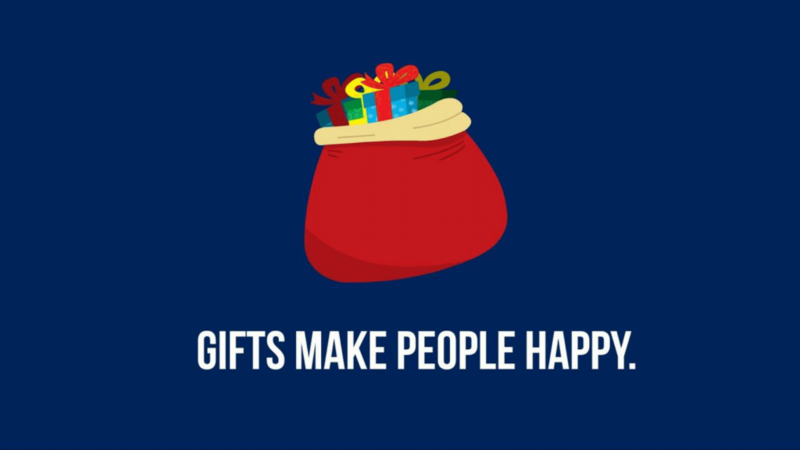 C) 10 Game-Changing Strategies I Used To Create an Irresistible Lead Magnet/ Freebie That Got Me 711 Downloads in 3 Months – keyword is Lead Magnet. Target specific keywords using the Google keyword planner. This is really important. 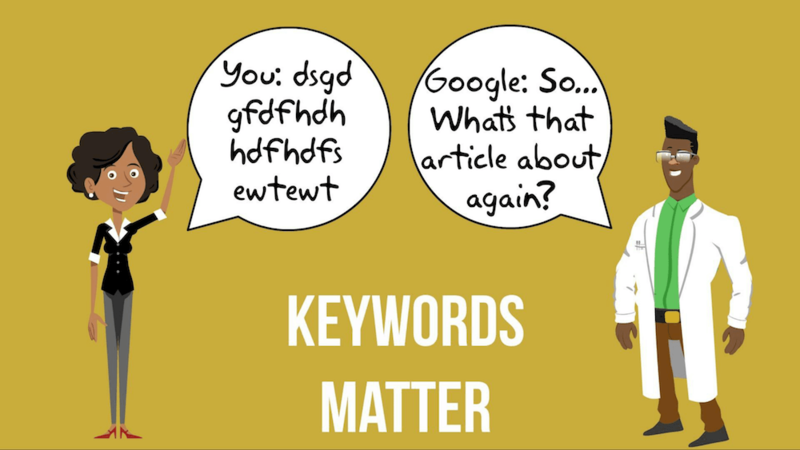 A very good way of getting Google to rank your post for your targeted keyword is simply to tell Google what your post is about in your own blog. Link to other articles liberally using the targeted keyword that you have decided to use for that post. Link out to other posts that you’ve written liberally. Double check your headline to make it more attractive. One of the best blogging tools you can use to help with this is Coschedule’s Headline Analyzer (it’s free). Practice makes perfect when it comes to writing good blog post headlines. 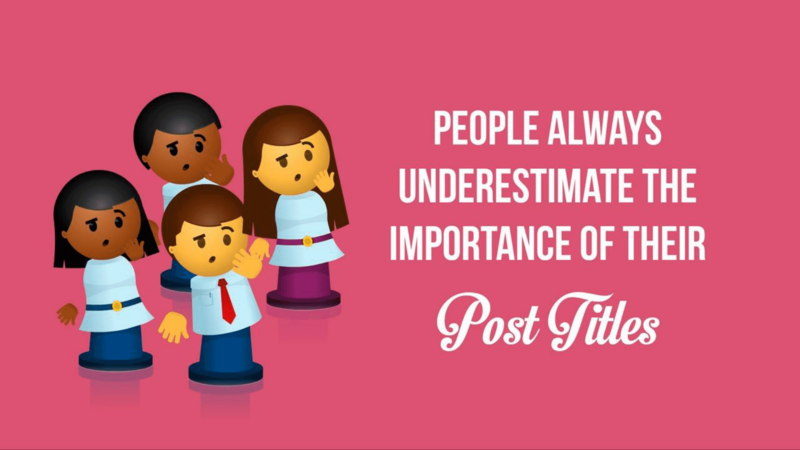 The main objective of your post headline is to generate a click, so make sure your title is specific enough to do just that. Here are 190+ templates for you to start writing catchy headlines today. Practice makes perfect when it comes to writing good blog post headlines. 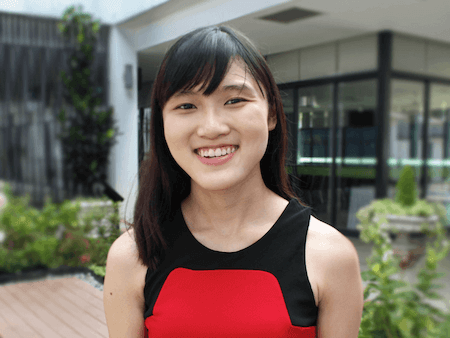 While I always recommend for you to write longer, higher quality blog posts, writing redundant words and overly convoluted sentences are a big no-no. Go back to your post and remove any redundant words or paragraphs. I make it a point to keep each paragraph short (<3 sentences). Creating a horizontal image allows your content to be more shareable on Facebook and Twitter. I have just added horizontal images onto all my blog posts, and I am seeing a significant increase in retweets & favorites of my posts. Once you have a template, it is pretty fast. Here is an example from my recent post – every time someone tweets / shares your article on Facebook, people are more likely to read and engage with it when your post is accompanied by an enticing image. Over time, the payoff is huge. The dimensions I use are 1200px x 630px. You could use Canva or Picmonkey to create it for free. I use Photoshop. Vertical images are for Pinterest. The longer the better. The dimensions I use depends on what I want to include in the pins. For instance, this pin I made recently right here got quite a good reception. 1.5k repins? Heck yeah! 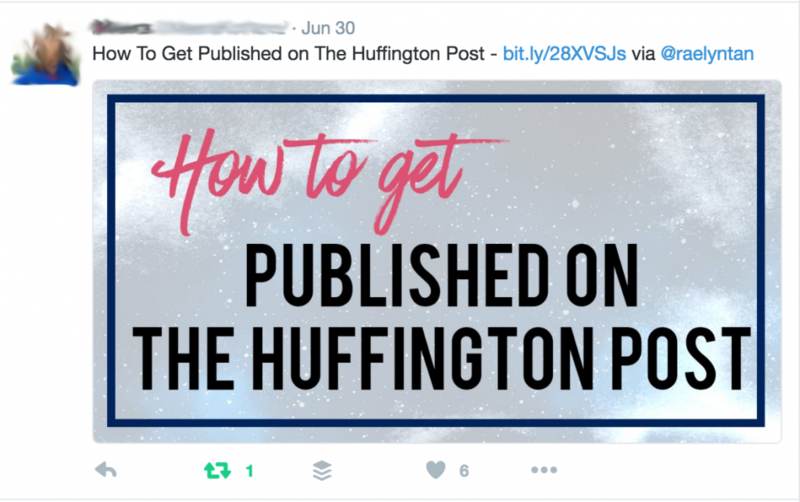 Depending on your niche and how your audience interacts with your content, you can consider adding tweet boxes abundantly. I don’t display my full blog posts on my homepage because people don’t have time to sit through 1000 words. I want to give my new readers a look at multiple articles at one go when they first step onto my home page. Hence, I write an excerpt. You can customize your excerpt (instead of just defaulting to using the first 100 – 150 words) using an amazing WordPress blogging plugin called Advanced excerpt. For posts which I think will become popular posts, I create content upgrades to get more subscribers and for list building purposes. It is also an excellent way to get your brand to stand out from the crowd because not everyone offers content upgrades. I also have another post with 31 content upgrade ideas that will help you with creating your content upgrade. 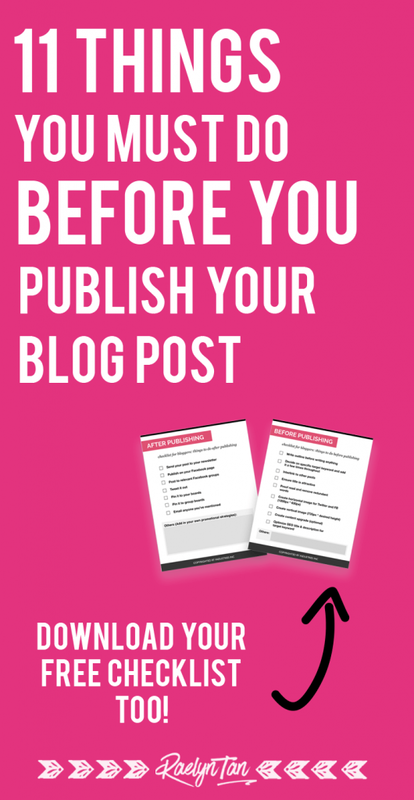 There you go – 11 things for you to do BEFORE you publish your next blog post. 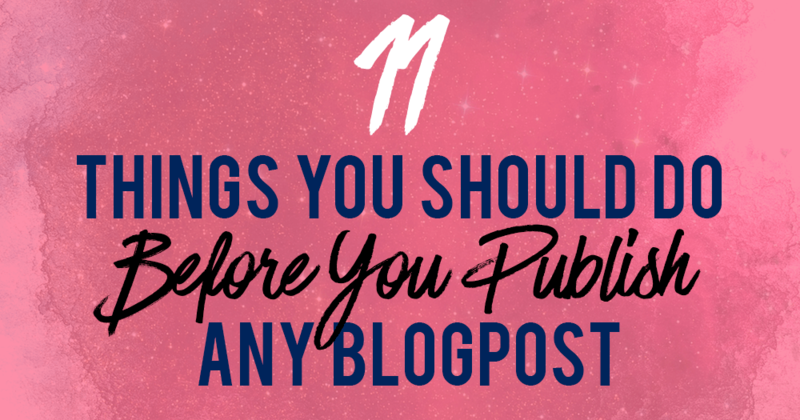 Check out this 11 things in mind before publishing my blog posts in the future! What’s the most useful pointer that you’ve learned? Tell me in my FB group, and I’ll definitely reply (link below). You may also like this bonus checklist I’ve made for you. 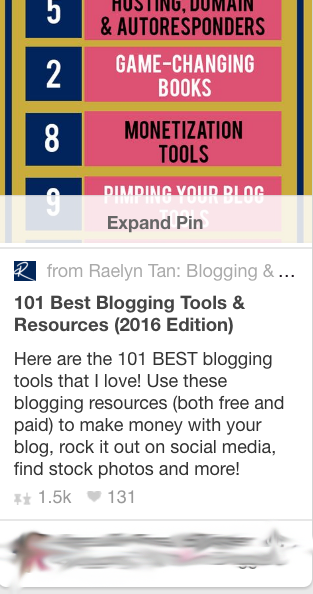 If you’re a blogger, you need this. Caught up with point #1. A lot of bloggers often miss out on this. All they do is think of a blog post idea then jump unto their WordPress and start writing. This is totally wrong. As a blogger/writer, you ought to plan out your post first. Write down all the ideas and points you wish to include in the post. Format how you want it to be (which comes before which). This helps in making your post more organised. Also, do a research on whatever your writing about. 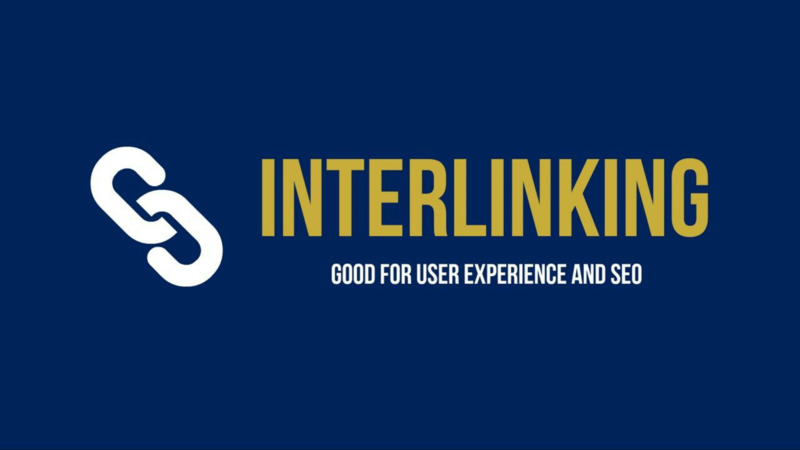 Get relevant resources and link to them. Hey Simon, thank you! I love that writing an outline helps bloggers write an article much faster. See you around in my community! Thanks for such an actionable blog post! I have seen a lot of the same suggestions, but not so concisely put and not with helpful links to products that help you take the next step: actually doing it. I especially liked the links you added for Google Ad Words’ Keyword Planner, WordPress’s Advanced Excerpt, and Coschedule’s Headline Analyzer. This is my first time on your blog, but I would love to come back and have a longer look around. Do you happen to have a post that delves deeper into Google Ad Words and how it works best? Thanks. Thanks! I’ll definitely make your blog one of my stops whenever I’m surfing the net. Really great and helpful tips. Small suggestion if you don’t mind. The social share buttons on the leftside of the page are overlapping your content in the mobile view. It’s better to decrease the size of these buttons to provide better experience to the readers. BTW, It’s a nice article to read. Oh gosh! What device are you using? Thank you for a helpful, no fluff guide for beginner blogger. I wonder what software/app you use to write? Do you write directly in WordPress interface, or do you have a favorite writing app? I write directly but writing apps work too!